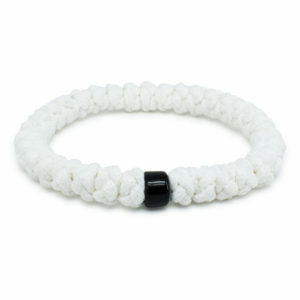 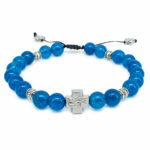 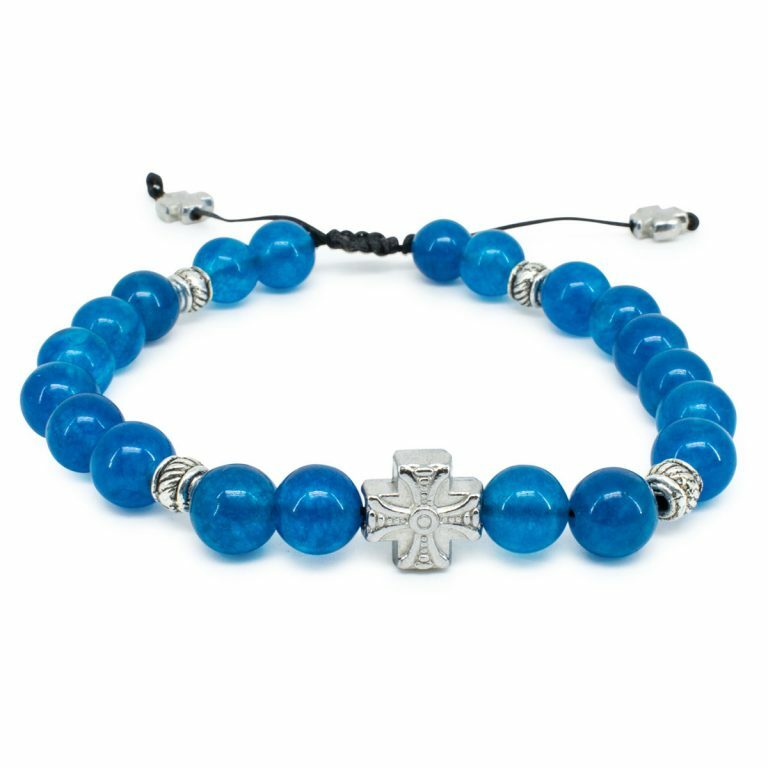 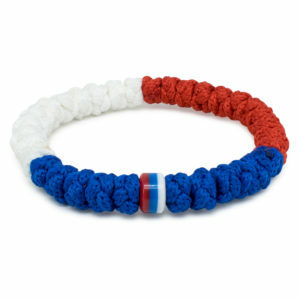 The good looks of our blue jade prayer bracelet make it a popular choice. 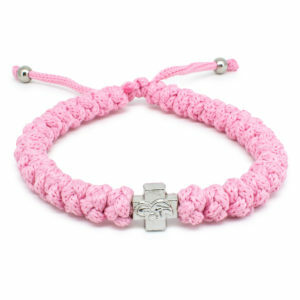 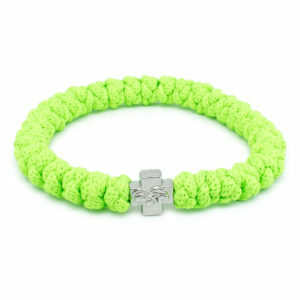 This variation of this popular bracelet has some added metal decorative divider beads next to the Theotokos cross bead. 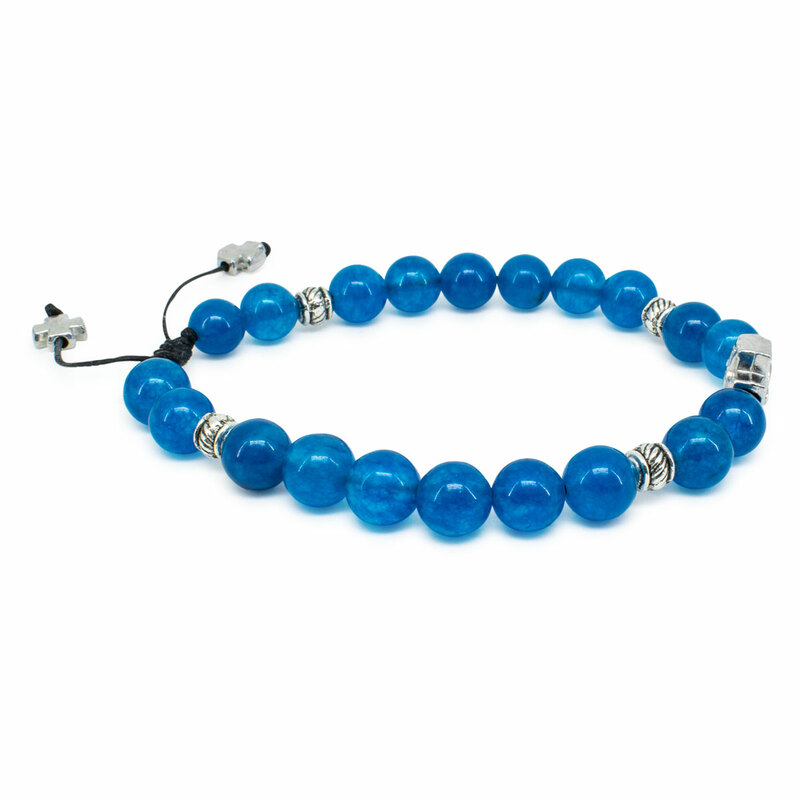 Made with genuine blue candy jade stone beads, 8mm in diameter. 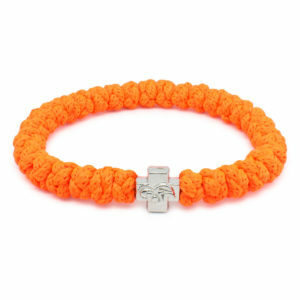 Blessed and purified by the Church.